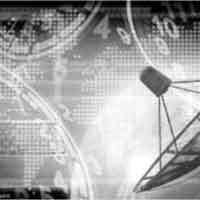 This page provides an overview of our targeted news distribution services including information about what we do and service pricing. Send2Press®, a service of Neotrope®, delivers targeted press release distribution Direct-to-Editors™ at print and broadcast media, professional press release writing, best-in-class “white hat” SEO, and syndication to online media and news aggregators. We also include a social media marketing campaign with every distribution plan ($99 value). Neotrope's Send2Press Newswire service and the Neotrope News Network provide a unique solution for dissemination and persistence of news content to targeted media. We offer the only proven, credible and experienced newswire service which was the first in the industry to be fully staffed by current and former professional journalists, and accredited public relations (PR) professionals. We're proud to be a fully U.S. based company, located in Torrance, Calif. (Los Angeles), USA. As a true newswire service, managing our own media contact databases for over 30 years (Send2Press was launched as a spin-off of Neotrope's PR business in 2000), we send news content to the media, and all dissemination is highly targeted. Specifically this means we don't send cooking news to car magazines, and we identify specific editors at publications so that the food editor at The New York Times doesn't receive book news (unless it's a cookbook!). Our media databases comprise over 40,000 U.S. media outlets. Our daily opt-in media, RSS feeds, exclusive Neotrope News Network sites, the Financial Content Network, push to traditional wires like AP and Reuters, and intake by syndicators like LexisNexis, Newsbank, ProQuest, and others, help increase your online and offline visibility at the best price vs. ROI in the industry. Direct-to-Editors™ targeted news dissemination since 1983. With Send2Press you can reach interested U.S. media by email using our Direct-to-Editors™ database, managed by Neotrope for over 30 years. We target editors by name at national print magazines by topics related to your actual news announcement. We target newspapers by specific editor where possible (e.g., entertainment editor at L.A. Times and not generic mailbox), and reach the top television and news/talk radio outlets nationwide. Our Standard National plan reaches over 6,000 daily media outlets in the U.S. by email, plus the Associated Press (AP). Our Premium National PLUS plan reaches over 17,000 media outlets including premium placement in AP and Reuters. Send2Press pushes your news to the top information systems worldwide. 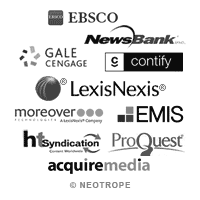 With all plans your news is archived by leading data providers including: AquireMedia, Athena/Contify, EBSCO Information Services, EMIS/Euromoney, Gale Cengage, HTMedia, LexisNexis, Moreover, Newsbank, Proquest, Thomson Reuters, Northern Light and others. These systems are used by researchers, e-library systems, news publishers, students and professional content aggregators. As a strategic partner with many of these providers, your news is also offered to hundreds of news systems in 10 countries at no added cost. Send2Press hand-submits news to top social platforms. With all plans (except Econo) we personally hand-submit your news to the top social media sites with custom #tags, headlines, images and excerpts. 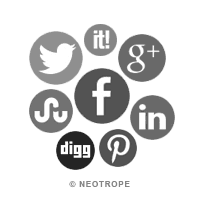 Sites include: Digg, Facebook, Google+, LinkedIn, Pinterest, ScoopIt!, StumbleUpon and Twitter. Reach our followers plus new audiences based on targeted #tags related to your story! By using a custom PRpurls™ shortcode, we also track click-throughs for measurable social ROI (100+ clicks typical in first 24 hours to our main site). Optional BOOSTER pack adds paid promotion. 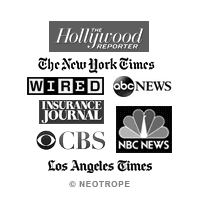 NEOTROPE® NEWS NETWORK: top high-traffic regional and national news portals like California Newswire®, Florida Newswire™, Massachusetts Newswire™, eNewsChannels™, Publishers Newswire™, Free News Articles™ and many more (with clip report!). Exclusive placement via Send2Press® Newswire (not available from competing newswire services). FINANCIAL CONTENT NETWORK: popular financial news syndicator posts news to sites like CEO World, BioSpace, Network Journal, Travel Weekly, Renewable Energy World, Ask.com, Buffalo Times, Daily Herald  and 90 more sites (with clip report!). SEND2PRESS PARTNERS: our partners around the world include top information systems, and sites like Digital Journal, 4-Traders, WN.com, AnyGator, TippNews Ohio, Trading Charts, Robin's Post, HTMedia/HTDS, Athena/Contify, EBSCO, NewsBank, AcquireMedia, ProQuest, Gale Cengage, Reuters/WestLaw, Moreover, LexisNexis and Northern Light. Click/tap any of the buttons below to visit sites to see how our news appears online. Items with (*) appear in Google News. *DISCLAIMER: some sites only syndicate news items based on specific topic, such as books or software. The Frankly/WorldNow Network does not syndicate any “mature” content. Not all sites are permanent, and some content expires over time. With our PREMIUM plans, news may run on some sites twice so alternate headlines suggested. With all Send2Press® Newswire distribution packages you get the exclusive Send2Press PRtrax™ Dashboard. This report system (not a ”media monitoring service”) provides each project with 250+ direct syndicated clips to your news appearing online; embedded social media clips from Twitter and Facebook, and tools to find your news story in top news systems like Google News, Bing News, Yahoo! Finance* and search engines. This report can easily be shared with client, internal teams, and is not tied to our online order system for ease of use in any web browser. Our exclusive PRpurls™ system tracks social media click-through for ROI on social sharing. Additionally, a simple tutorial shows you how to create an ongoing Engagement Score for each project by combining the stats, including ongoing number of reads metrics from multiple sites. With our PREMIUM level plans you also get a full ReleaseWatch clip report and Visibility Report (VR) dashboard from CISION/PR Newswire® with no PRN account or log-in required. *NOTE: with our “STANDARD” level plans, news does not appear in the Yahoo! Finance sub-domain, but is searchable as a web-result.